This month I took a weeklong vacation to Las Vegas, Nevada in celebration of my 31st birthday. Wait...31?? Like whaaaaaa?? Maaaan...I know how I got here, but I had no idea that I would become the woman that I am right now. I visited a dear friend who lives there and also happened to be celebrating a birthday. Together we had some beautiful outdoor excursions. 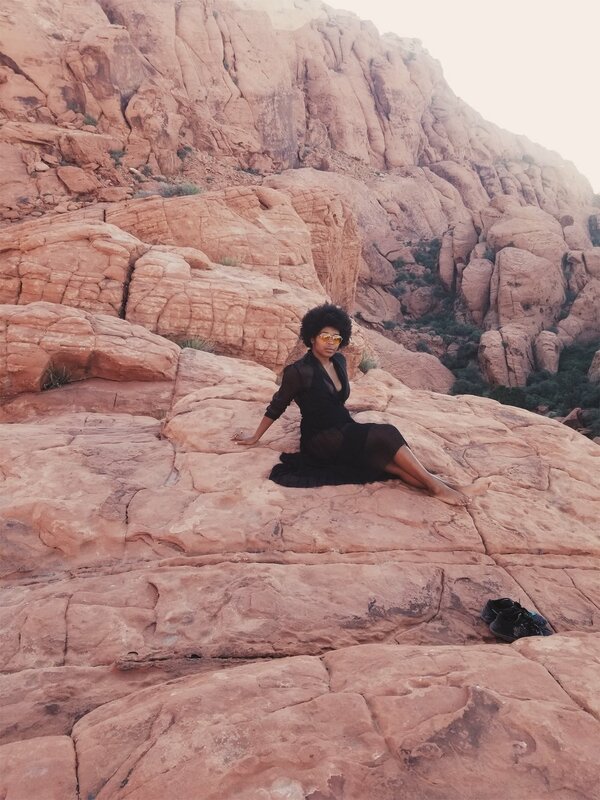 We drank, we laughed [ALOT], we road-tripped to see mountains and canyons, we hiked in 113 degree weather [LAWD! ], we swam, we ate [ALOT], we smoked on the hood of her car watching the sun set over Lake Mead. We had some of the most humbling and breathtaking moments that I 've ever experience. This trip was a much needed break from the heaviness of my adult life. I did everything I wanted to do and then some. My birthday trip could not have been any better and I'm so grateful for everyone that shared their love with me. Heres to Thirty ONEderful!